The CY07-V1.1 is a ASK/OOK compatible super heterodyne wireless receiving module with high performance for ISM frequency band. 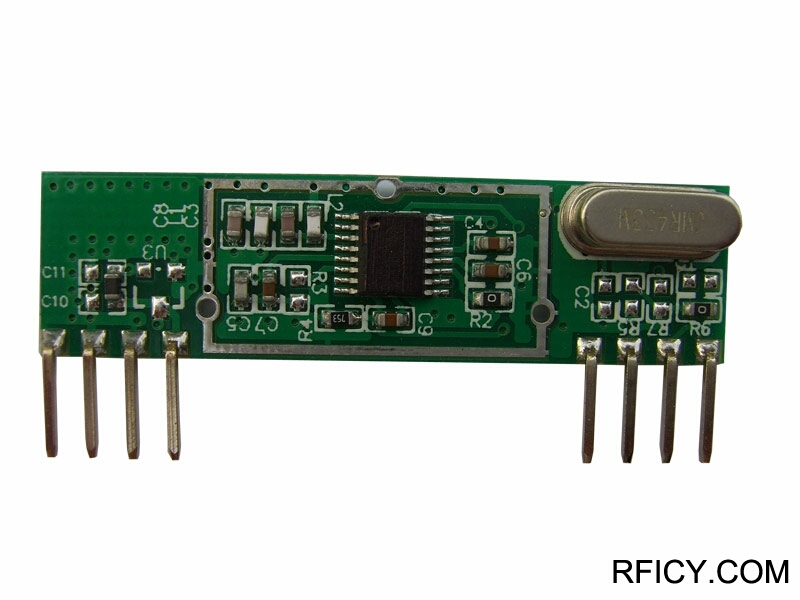 With the adoption of European brand RF wireless data transferring/receiver chipsets, that the model has a high receiving sensitivity and strong ability of resisting. From wireless signal input to data output can be done without any electrical circuit. User only use extra simple data decode circuit can achieve wireless products development. CY07-V1.1 is for commercial level version. Low power consumption: 4.8mA@315M, 6mA@433.92M.